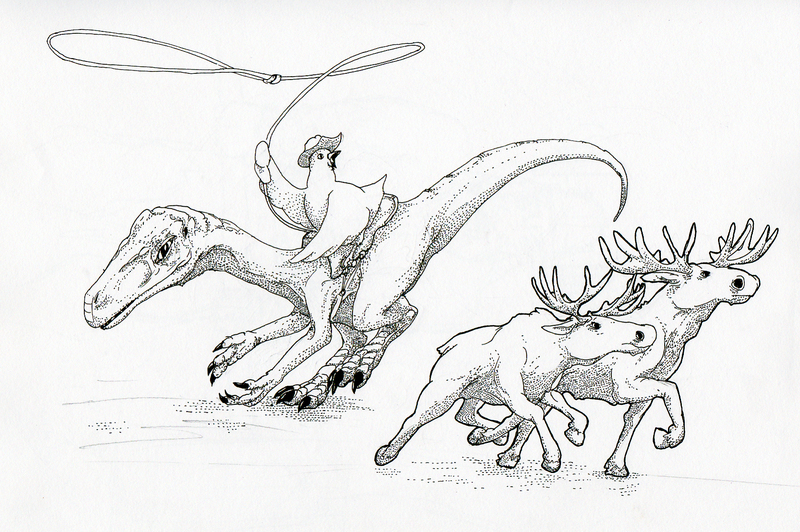 A chicken riding a dinosaur (Herrerasaurus) herding miniature moose. Asking the internet canbe really really good for ideas. This entry was posted in Scanned Desksketch and tagged Dinosaur, Internet by Anthony. Bookmark the permalink.